I’m feeling very happy, yet humble. There are so many fantastic blogs out there, I have a long way to go! What is your passion? Plants, dogs, books, and FOOD! Do you prefer giving or receiving presents? I love choosing presents for people. What is your favourite pattern? Flowers of course! What is your favourite day of the week? Saturday! What is your favourite flower? This changes with the seasons… currently the Hepatica (or maybe Pulmonaria?)! Thank your Liebster Blog presenter on your blog. Link back to your awarder’s site. Inform them by leaving a comment on their blog. 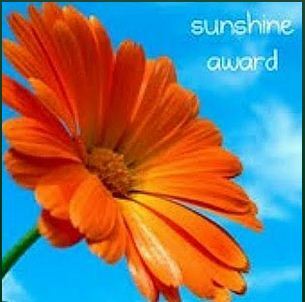 I hope nobody minds me nominating just 3 bloggers for each award… with the gardening season beginning I have less time to view many new sites at the moment! Take a look at these blogs and enjoy an array of talent! This entry was posted in Awards and tagged Food, Garden, Life, Plants, Poems, Postaday. Bookmark the permalink. Thanks so much for the mention, and for sending us to other interesting places (including the bilingual German ones, which I hope will finally give me motivation to learn properly!). On the list of things to do, respond to the nomination. Happy spring to you too, Verity! Thanks for thinking of me, Cathy. Always fun to meet other garden bloggers! Thank you for the award- I am flattered! Thank you and Congratulations to your 2 awards. 🙂 63 could be a favorite number of mine. Congratulations Cathy! You deserve them!